Published: Nov. 17, 2014 at 06:36 p.m. Updated: Nov. 19, 2014 at 09:36 p.m.
On October 16, running back Jonas Gray was languishing on the New England Patriots' practice squad, freely available to the other 31 teams in the league. On November 16, Gray accomplished a feat unmatched by any NFL player going back 75 years. Gray authored the best performance by any running back this season, pounding out 199 yards and four touchdowns on a whopping 38 carries in Sunday's win over the Indianapolis Colts. According to NFL Media's research department, Gray currently stands as the first player since at least 1940 to rush for as many touchdowns as the rest of the NFL combined in a given week. Jamaal Charles (2), Knile Davis and Eddie Lacy were the only other players to run for a score in Week 11. Even if the Pittsburgh Steelers and Tennessee Titans steal Gray's thunder on Monday night, his performance remains notable for its rarity. If we raise the minimum to 10 league games in a week, no single player has even managed more than 25 percent of the NFL's rushing touchdowns. The four-touchdown outing was the first by a player without a previous NFL touchdown since 1921. The former Notre Dame star's manifold accolades beg a follow-up question: Is this a sign of things to come or a one-game aberration? 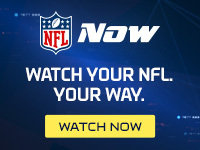 As NFL Media analyst Brian Baldinger points out on NFL NOW, Gray was at the eye of a perfect storm Sunday, offering a power-back skill set ideally suited for the game plan specific to an Indianapolis defense that rolled over for 234 rushing yards and six touchdowns at New England last January. Patriots owner Robert Kraft even pulled Gray aside last week to tell him he would have a "big game" as the offensive focal point, per NFL Media's Judy Battista. No coaching staff is better at tailoring game plans and personnel groupings to each opponent, while fully exploiting the niche skill sets of late-round draft picks and street free agents. "We've got a lot of weapons," Gray said, via Battista. "You never know when guys will have a big game." Coach Bill Belichick and offensive coordinator Josh McDaniels have already begun preparing for a Detroit Lions defense allowing the fewest yards per carry (3.0) and rushing yards per game (68.8) in the league. "One thing we do know about Bill Belichick is he is not afraid to switch styles to exploit the weakness of a defense," NFL Media's Bucky Brooks said on NFL NOW's Scouts Eye this week. "I believe this week he moves away from Jonas Gray." In other words, it's a good bet the game plan will feature more of passing-down specialist Shane Vereen and fewer six-lineman sets paving the way for Gray between the tackles.